As a strategic location, being only 30km from downtown, Silom Road. With an easy, quick access to the industrial outer ring road with just 47km. From Suvanabhumi Airport, makeing our company connect to everywhere in Thailand easily. 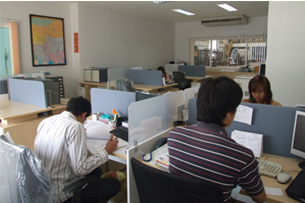 With an great environment concerned, our staffs work happily which lead to the highest efficiency. The Bangkok Metal Fabrication Co.,Ltd. Was first established in 1971 trade under the name of "Sin Seng Heng". 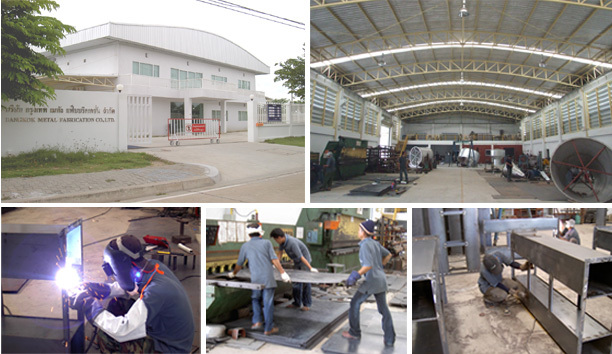 In 2009 the company relocated the office and the factory to Sinsakorn Industrial Estate with total areas of 4 Rais. The new plant is well-equipped with up to date machineries that will allow the company to produce various product range. must understand the customers and must be self-disciplined. "Good tools are not the answer to the success of the company. " But good personnel are a real solution to it.